'Winning Post' is about to become a regular fixture on CNN International with the network upping the horse racing feature to a monthly program. 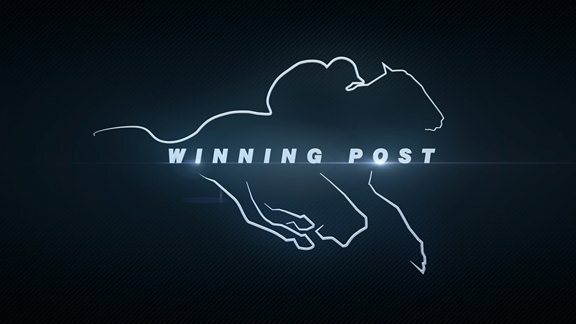 'Winning Post' originally started airing as a series of regular specials last year. CNN's release below. CNN International today announced that ‘Winning Post', the network's flat racing strand is expanding beyond its existing coverage of major meetings, to a dedicated monthly programme. Already a successful element of CNN's ‘World Sport' programming, ‘Winning Post' in June embarks on an exciting development as CNN's global audience will be able to enjoy all the coverage of a major Group 1 meeting in a special monthly show. Few sports can match the elegance and history of horse racing. Where ancient tradition meets cutting-edge technology, CNN takes viewers inside the track; getting the stories from the top trainers, jockeys and owners in the business, as well as a behind-the-scenes look at the fashions and the fortunes that go hand-in-hand with the most glamorous sport on the planet. Jamie Donald, Director, CNN International Productions, said: "Winning Post' presents an insider's view of racing not seen before on an international scale; from the refined thoroughbreds to the logistics involved with training, feeding and transporting these magnificent athletes all over the world. We are delighted that a flat racing show now joins CNN's growing sports portfolio, alongside ‘Living Golf', ‘MainSail', ‘Open Court', ‘The Circuit' and ‘Winning Post'." Presented by racing insider Francesca Cumani, the first monthly programme invites CNN viewers to two of the most glamorous events in racing: the Prix de Diane and Royal Ascot. The Prix de Diane is France's most stylist race meeting, held annually at the picturesque Chantilly Racecourse. Expect the fashions off the field to be as impressive as the fillies on it. Also known as the ‘French Oaks', the Prix de Diane is the nation's premier race for 3-year-old fillies and is counted among France's "Classic" races. Royal Ascot is arguably the world's most recognisable race meeting: think enormous hats and ‘My Fair Lady'. But it also brings together some of the best racing in the world, all taking place under the watchful eye of HM Queen Elizabeth II, who will arrive every day by carriage from Windsor Castle. This year the two best horses in the world, Frankel and Black Caviar, will be among those racing in the five-day meeting.